VPC Renton is seeking a Managing Veterinarian to lead our team in South Seattle. We are a fun, fast-paced clinic dedicated to providing high-quality veterinary care to small animals. We have a highly trained team of veterinary technicians and assistants who support our veterinarians in providing the best medical, surgical and dental care to our patients. Our doctors and staff have updated Value Pet Clinic’s Standard of Care and have put a new emphasis on preventative care medicine with our clients. We are looking for an enthusiastic and balanced leader to continue to grow and fosters a supportive learning environment. We offer a flexible schedule, above average base salary, as well as production-based pay. We also offer opportunities to learn new skills to benefit our clientele, and are gearing up for a hospital-wide intensive dental workshop. ABOUT THE HOSPITAL • Digital radiology • Digital dental radiology • In-house labs, as well as IDEXX referral labs • Collaboration with a board certified canine and feline specialist who performs orthopedic surgeries at our location • Paper lite clinic • Surgical suite with two tables and a prep table • Large treatment area. Come join our team and see what the Value Pet experience is all about! Please visit us on our website www.valuepetclinic.com or check out our Facebook page. Aerowood Animal Hospital in Bellevue, Washington is looking for a veterinarian to join our growing practice. We are a 24/7 hospital equipped with two digital radiology units, therapeutic laser, in-hospital lab, endoscopy, ultrasound, etc. Our professional staff includes eleven doctors and six LVTs. We are offering a competitive salary and an excellent benefits package. Enjoy Seattle and the beautiful northwest. Schedule Options Include • Full or part-time day work; • Part-time day and/or emergency work. Qualified and interested applicants should send resume to [email protected]. Associate veterinarian wanted for a growing five doctor practice located in Puyallup Washington. We have an excellent reputation for practicing high-quality medicine. Our hospital is well-equipped with a full digital radiology suite which includes dental, ultrasound, and in-house laboratory. Our staff is committed, well-trained, and includes seven licensed veterinary technicians. Experience is preferred in internal medicine, surgery, and client communications but our vested veterinarians on staff would gladly welcome a new graduate. Our compensation includes base pay and an excellent commission, state license, generous CE, 401K, health insurance, plus a sign on bonus. Contact Dr. Lamb at [email protected]. FT/PT Veterinarian wanted for cat and dog clinic in Woodinville, WA. Our clinic boasts a talented staff, high-quality medicine, and family-friendly hours. Looking for an experienced veterinarian with team-oriented mindset, excellent communication skills, and strong work ethic. Clinic’s focus is preventative care, but ability to manage complicated cases needed also. Patients seen on an appointment basis with rare emergencies/walk-ins. Strong dentistry skills desired. Compensation highly competitive pro-sal, generous benefits including 401K, health/vision/dental insurance, life/accident/disability coverage, and more! To apply, please send application to [email protected]. Wanted FT Associate Veterinarian for a busy, 2-doctor, non-corporate small animal hospital located in Issaquah, WA. Competitive compensation ($100k/yr, $5k signing, medical), CE allowance, reimbursement for licensing for licensing fees. New graduates encouraged to apply, willing to mentor. Contact [email protected]. RAINIER VETERINARY – HOSPITAL SEEKING ASSOCIATE VET Rainier Veterinary Hospital (a local veterinarian-owned hospital) seeking a full-time Associate Veterinarian to join our small animal practice. We offer 4 day work week, competitive pay and benefits package. Come experience the diversity of Seattle while having the NW outdoors to explore! Contact [email protected]. Cats Exclusive Veterinary Center in Shoreline WA Seeking a full-time associate to join our dedicated team of feline veterinarians and staff. Our loyal and educated clientele allow us to provide expert care in a fun and supportive environment. Our cases include internal medicine, dentistry, and routine wellness and geriatric care. Doctors have room assistants, electronic medical records, and new equipment. Ultrasound and echocardiography are performed in-house by specialists. We are located just north of Seattle; near many vibrant neighborhoods. Experienced feline practitioner preferred; newer graduates are considered. Please send your resume to [email protected]. BOTHELL PET HOSPITAL SEEKING ASSOCIATE VET. Bothell Pet Hospital is a local veterinarian owned practice seeking a full-time Associate Veterinarian to join our small animal practice. We offer 4 day work week, competitive pay and benefits package. Come experience the diversity of Seattle while having the NW outdoors to explore! Contact [email protected]. Uptown Animal Hospital in beautiful Gig Harbor, Washington is seeking an overnight Emergency Clinician for our 24/7 practice. Relocation and licensing assistance, and sign-on bonus available for the right candidate who is willing to work the overnight shift. Our vision is to provide compassionate, client-centric medical care to our community 24-7. We are searching for veterinarians who share our philosophy of innovation and collaboration. We are dedicated to providing compassionate care for pets and their owners. We honor the Human-Pet Bond by providing the highest quality of veterinary medicine for pets, and our staff of veterinary professionals strives to educate and involve clients in the medical care of their pets. Our goal is to provide an exceptional experience for pets and their owners every time they visit us. We are looking for an overnight Emergency Veterinarian who shares our core values of collaboration, respect, and treating each client like family. Our newly relocated hospital is well equipped with in-house laboratory, digital radiography, dental x-ray, ultrasound, and complete surgical suite. In addition, our veterinary team has access to board-certified specialists for consultation. Uptown Animal Hospital is AAHA accredited; Competitive base salary plus quarterly bonuses; Medical, Dental, Vision, Life insurance – with company funded HSA account; License and liability reimbursement; Annual Continuing Education allowance; 401k with company match; Generous Paid Time Off for work/life balance; Flexible schedule – 3 or 4 day work week ; Practice freedom – no corporate protocols or mandatory formulary. Please contact Shawna Weber [email protected] for more information. Cedar River Animal Hospital in Renton WA is seeking an FT or PT associate veterinarian to join our team. We are a privately owned, AHAA certified small animal hospital located just outside Seattle. We offer a tremendous opportunity for professional growth in quality medicine, surgery, and dentistry. We are a well-appointed practice with digital general and dental radiography, brand new ultrasound, laparoscopy, endoscopy including rhinoscopy and video otoscopy, orthopedics, in house stem cell and PRP, therapeutic and surgical laser, Idexx labs and more. We are in an affluent area of Seattle with the mountains, Lake Washington and the Puget Sound nearby. We offer $110K base salary and/or production, $5000 sign in bonus health insurance, Student loan stipend available for the qualified individual, PTO, paid holidays, generous CE allowance, licensing fees, pet care discount and a 4-day work week (8:30AM-6PM) with alternating Saturdays (9AM-1PM). No on call or emergency duties required. Please reply or send inquiries to [email protected]. Diamond Veterinary Associates is looking for a small animal veterinarian. We are a privately owned AAHA hospital that provides general practice care during the day and emergency services at night as Animal Emergency Clinic of Everett. We have a great staff and the usual high tech equipment. Everett, WA is a port town located within easy driving distance to Seattle, national forests, and mountains. Whether you prefer the city nightlife, boating around the bay, or a weekend camping trip, Everett provides easy access. Local activities include kiteboarding, crabbing, fishing, a local minor league baseball team, and a western hockey league team. There are skiing and other snow sports around an hour away. The housing in Everett and the surrounding area is affordable and we have some great local restaurants. We are offering a Looking for an enthusiastic, energetic veterinarian for a busy 5-doctor private SA practice in Kirkland. Four day work week, alternating Saturdays. Salary based on experience. We are a fully equipped practice including ultrasound, endoscopy, fluoroscopy, digital radiology, and in-house lab. Our doctors work collaboratively in a genial atmosphere to provide high-quality service for our patients. Contact [email protected].generous percentage-based pay structure and a variety of benefits. To apply, please email a cover letter and resume to [email protected]. Value Vet Animal Clinic Everett- Looking for a full-time veterinarian to join our small animal paperless practice. We have 5 exam rooms, digital full body x-rays, Idexx lab, and laser therapy. Currently, we have 1-2 veterinarians and 5-6 well trained/experienced veterinary staff present per day. Enjoy flexible 4 days per week. Enjoy great compensation with benefits. Please send resume to [email protected]. Maple Leaf Veterinary Care Center in North Seattle is seeking a FT or PT associate doctor. Growing, non-corporate neighborhood practice with great staff and clientele! Contact [email protected]. Phinney Ridge Animal Hospital is looking for an associate veterinarian to join our dedicated staff. A privately owned neighborhood practice going strong since 1985, we are proud of the personal touch we strive to provide to our clients and patients. We have become a “generational practice” now, as we are seeing new clients who were toddlers when we first saw their parents 20+ years ago! Our clients are dedicated owners and neighbors who we value so much. If you want to be part of a true community practice, please join us by sending your resume and cover letter to [email protected] Experience required. Full or part-time. Snoqualmie Ridge Veterinary Hospital is looking for FT or PT DVMs. New grads welcome to apply. Great work rotations; only work four days a week with three days off every week – perfect for work-life balance. Looking for DVMs with excellent communication skills, love of medicine and motivation to join busy, progressive practice with great staff, clients and many surgical opportunities. Starting salary $100,000 plus benefits. Visit our website at snoqualmievet.com. Email resume to [email protected]. VPC Tacoma is seeking Associate Veterinarian to join our team in our Tacoma location. We are an efficient, highly trained team that focuses on customer service and excellent patient care. We work well together as a team to provide high-quality veterinary care to small animals. Our established leadership provides an ideal learning environment for New Graduates and our supportive mentors encourage growth and foster a supportive hands-on experience. We are seeking to add a full-time Associate Veterinarian to work out of our Tacoma location as we are welcoming a high volume of new and returning clients. We are a walk-in model clinic offering an ideal and flexible schedule, full benefits package, above average base salary, as well as production-based pay. Come join our team and see what the Value Pet experience is all about! Please send inquiries and resumes to Summer Musick at [email protected]. Frontier Village Veterinary Hospital, in Lake Stevens, WA, is seeking an Associate Veterinarian to join our team of Experienced Doctors. Frontier Village Veterinary Hospital is a fun, collaborative medical family who helps provide a warm, compassionate, and friendly experience to our clientele. We offer the conveniences of a large hospital and the personal care of a small one. We are both animal health care providers and fellow animal lovers. Our focus is on the well-being of our medical family, and we feel that our clients are the most important part of managing pet’s medical care and health. We believe our job is to provide the best recommendations so that our valued clients can make informed choices with the pet’s best interests at heart. We provide a variety of western and eastern veterinary services through our doctor team who leverages a highly-trained support staff with a broad spectrum of skills and knowledge. Our versatile team is willing and capable to provide mentorship and a supportive environment for a newly graduated veterinarian, and also welcoming and accommodating to welcome an experienced veterinarian into the family as well. If you are the right fit – we look forward to hearing from you! About Lake Stevens, WA: Near Mt. Rainier foothills with multiple mountain ranges and bodies of water – great for a spectrum of outdoor activities. Forty minutes north of Seattle metropolitan, providing the perfect location for any social engagements. To Apply: https://nva.avature.net/jobs/JobDetail?jobId=814&source=NVA+External+Job+Board&tags=summer.musick. We are currently seeking a part-time or full-time doctor for our day practice in Federal Way. The hours for this clinic are Monday through Saturday, 9 am to 6 pm. Competitive salary package (DOE) and benefits package available. This is an established practice (30 years)with an experienced technical staff. Clinic has in-house laboratory, digital radiography, and computerized records. New graduates may apply-will train the right candidate. Contact [email protected]. A Pet Clinic of Kent is seeking a PT/FT veterinarian to join in offering exceptional veterinary care. Fresh grads are welcome to apply. 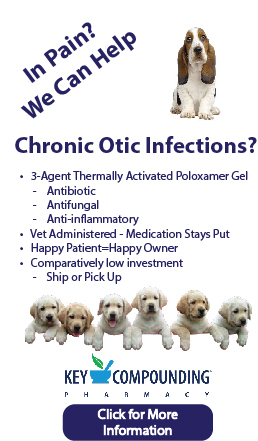 Contact Dr. Nagra DVM [email protected] or (253) 630-2900. Issaquah Veterinary Hospital is seeking a PT DVM. We are a small animal hospital in Issaquah area. DVMs interested in a long term commitment and potential investment are encouraged to apply. Please contact [email protected]. Edgewood Veterinary Clinic is seeking a PT veterinarian to join our team (FT potential.) We are a privately owned, fast-paced, 3 doctor practice with excellent support staff. We offer digital radiography, ultrasound, in-house Idexx lab. We are currently finalizing plans for our new building to accommodate our fast-growing community. Benefits include CE, licensing fees, PTO. Experience preferred. Send cover letter and resume to [email protected]. Attn: Dr. Ann Haugen. Animal Emergency & Specialty—a progressive, non-corporate, 24-hour referral hospital—seeks an experienced or internship-trained Emergency & Critical Care Veterinarian to join our growing team! The ideal candidate will practice the highest standards of medicine, possess strong interpersonal skills, demonstrate a team-based approach to patient care, and appreciate a client-centric business philosophy. For more information, please visit http://aesvets.com/the-aes-difference/employment/. We are looking to hire a part-time veterinarian. We are an established, non-corporate, busy, one doctor practice providing high standards of medical care and client service. We are diagnostic driven and utilize complete Idexx lab work, Fuji digital radiographs, digital dental radiography and laser therapy. We take pride in the long term relationships with our clients and also the veterinary specialists in the area. Cherry Valley Veterinary is located in Duvall, a small town in the Snoqualmie River Valley, 20 minutes east of Redmond. Our community is a unique blend of farmers, Microsoft employees and arts interested individuals, all sharing a commitment to the pets. Competitive salary and flexible schedule. We look forward to your resume at [email protected]. Associate DVM for an amazing practice in Seattle. Are looking for a practice as unique as you are? At WellHaven we partner with veterinarians who are looking to put their skills to work in a way that feels fulfilling and supportive. We are a veterinary practice born of the conviction that each veterinarian makes a difference to the profession. To us, happy and productive vets are the center of our universe. We offer a Competitive Salary, Production bonus, Medical/Dental, Flexible schedules, PTO, CE and more to meet your individual needs. Contact [email protected]. Seeking FT/PT DVM with buy-in potential for privately owned, well-established practice in Maple Valley. Great staff and clientele. Contact Karla Mooers at [email protected] or message phone (425) 432-2371. Twin Lakes Veterinary Hospital, a well-established, 4 –doctor small animal practice in Federal Way, WA is seeking a part- or full-time associate to join our quality AAHA-accredited hospital. Exceptional and compassionate support staff, including 7 LVTs. Great opportunity for someone interested in practicing quality medicine in a progressive and reputable hospital with state of the art technology. Mail or send resume to [email protected]. Full-time veterinarian wanted. Small animal clinic providing comprehensive medical, surgical and dental care. Excellent staff, low turnover and well-equipped. Generous benefit package. New grads welcome. Please respond to [email protected]. Cedar River Animal Hospital in Renton WA is seeking an FT or PT associate veterinarian to join our team. We are a privately owned, fast-growing. progressive small animal hospital (no exotics) located just outside Seattle. We offer a tremendous opportunity for professional growth in quality medicine, surgery, and dentistry. We are a well-appointed practice with digital general and dental radiography. brand new ultrasound, laparoscopy, endoscopy including rhinoscopy and video otoscopy, orthopedics, in-house stem cell and PRP, therapeutic and surgical laser, Idexx labs and more. We are in an affluent area of Seattle with the mountains, Lake Washington and the Puget Sound nearby. We offer $100K base salary and/or production, $5000 sign in bonus with a one-year commitment, health insurance, PTO, paid holidays, CE allowance. licensing fees, pet care discount and a 4-day work week (8.30AM-6PM) with alternating Saturdays (9AM-·I PM). No on call or emergency duties required. Please reply or send inquiries to [email protected]. Sawyer Lake Veterinary Hospital in Maple Valley area -FT We are a small animal hospital providing comprehensive medical, surgical and dental care. Excellent staff, low turnover, modern equipment and a collegial environment. Located in a growing area with the possibility of ownership. The right candidate is someone who wants to have time to build rapport with clients without the stress of a corporate environment. Generous benefit package and new grads welcomed. Please respond to [email protected]. Seeking FT/PT DVM who loves veterinary medicine to join our team! Four Paws Veterinary Center is a small animal day practice in a lovely Seattle neighborhood near Seward Park. We are family-owned and run, and take great care of our staff. You will experience work/life balance so you can raise your family and enjoy life in our vibrant city. Find fulfillment in practicing low-stress care using the pediatric model and up-to-date technology. You will be supported by our friendly working environment, cohesive team, and fantastic clientele. New grads welcome! Find out more about us at www.fourpawsvetcenter.com/about Please email resume and cover letter to Paige [email protected]. We are seeking full and part-time Veterinarians for our 24-hour emergency practice in Seattle who is available to work days, weekends, or evenings. Part-time positions available Competitive salary, benefits package available (medical, vision, paid vacation), and 3-4 day work weeks. New grads welcome. We will train the right candidate. We have digital radiography, high-quality ultrasound, and in-house Idexx Vet-Lab Station. In addition, we do have a part-time position for an overnight doctor. Email for details: [email protected]. Night Shift Veterinarian – Exciting Opportunity! Does the idea of having long stretches of days off sound appealing? How about working with awesome and educated assistants and technicians? Do you thrive when interesting, non-preventative cases are presented to you? If you answered YES to these questions, then working for Diamond Veterinary Associates/Animal Emergency Clinic of Everett is the place for you. We are looking for a small animal veterinarian to work our “Emergency” night shifts. We are a privately-owned AAHA hospital that provides general practice care during the day and emergency services at night as Animal Emergency Clinic of Everett. We have a great staff and the usual high tech equipment. Everett, WA is a port town located within easy driving distance to Seattle, national forests, and mountains. Whether you prefer the city nightlife, boating around the bay, or a weekend camping trip, Everett provides easy access. Local activities include kiteboarding, crabbing, fishing, a local minor league baseball team and a western hockey league team. There are skiing and other snow sports around an hour away. The housing in Everett and the surrounding area is affordable and we have some great local restaurants. We are offering a very generous pay structure and a variety of benefits. To apply, please email a cover letter and resume to [email protected]. Are you interested in practicing quality medicine and looking for an excellent work/life balance? “The Gentle Doctors” are looking for a FT/PT associate Veterinarian to join our full service, well-established, rapidly growing, privately owned small animal practice located near Mill Creek, Washington; just 30 minutes north of Seattle. We provide quality veterinary care for dogs, cats and exotics. Our welcoming facility includes digital radiology, in-house laboratory, full surgical and rehabilitation suites, including therapeutic laser and hydrotherapy. We provide the highest standard of veterinary medicine and employ an extremely dedicated 1 to 5 Doctor/Support staff ratio that excels in superior customer service. We are looking for a knowledgeable and team-oriented veterinarian who’s invested in continuing to grow our hospital and form bonds with our clients and patients. Ideal candidates will exhibit remarkable patient care, maintain a positive can-do attitude and possess the ability to communicate clearly and effectively with fellow team members. Experience or interest in learning high-level surgery a plus. Compensation is highly competitive and is dependent on experience; we have ongoing standard schedules to maintain an excellent work/life balance! Benefits package includes, but is not limited to; health insurance, PTO, simple IRA, CE/association/license allowances as well as professional discounts. We encourage you to visit www.nwanimalcare.com to learn more about our Hospital. Please reply to this ad with a cover letter and resume to [email protected]. We will respond in confidence. Signing bonus of $5,000.00 offered for highly qualified, full-time applicants. FT/PT experienced DVM desired for Bellevue practice. Non-corporate growing small animal practice in a pleasant setting close to all of Washington’s amenities. www.bellevuecrossroadsvet.com (425) 746 7387 Resume to Bruce Singbeil DVM, 15600 NE 8th ST Ste 0-6 Bellevue WA 98008. VETERINARIAN WANTED: We are seeking a full-time or part-time veterinarian for a progressive, well-established, multi-doctor. AAHA accredited hospital where the quality of care and compassion for animals is valued. We are located on the South Hill of Puyallup, Washington in the beautiful Puget Sound Region. The opportunity to expand your skills in orthopedic surgeries, as well as advanced soft tissue surgeries ex, ists for the right candidate. We offer flexible scheduling, generous compensation which includes a base salary and production pay, Simply IRA, Medical Insurance, Continuing Education, and Paid Time Off. No emergency or on-call. Contact Susan Shirley at (253) 848-1563 or email your interest to [email protected]. Button Veterinary Hospital in Tacoma, WA – FT (4 days/week) veterinarian wanted for privately owned multi-DVM practice. We are a well-established, full-service, small animal hospital providing comprehensive medical, surgical and dental care. We have treated pets for 4 and 5 generations of families in South Puget Sound. Excellent staff, low turnover, with modern equipment (digital radiography, in-house lab, laser therapy, etc.) and a collegial environment. Long-term association desired with potential for ownership. Contact Debby Phillips at [email protected]. The Cat Clinic of Seattle seeks a full-time associate to join us at the first feline practice in the Pacific Northwest. We are happy to mentor the right candidate! For more information email your resume to Dr. Shannon Bass at [email protected]. Timber Ridge Animal Hospital is a popular, well-established (privately owned) small animal practice located in Bonney Lake, WA. Currently building a new facility to accommodate our fast-growing clientele. Seeking FT/PT DVMs. New grads encouraged to apply! We practice modern, progressive medicine. Attractive compensation/benefits package. Email resume to [email protected] or fax (253) 891-2905. Full-Time Associate wanted for our feline hospital, located in downtown Bellevue, WA. Experience preferred but new graduates are also welcomed to apply. Come practice in a well-equipped facility with an excellent professional staff. We are family owned and operated. Must have excellent communication /client service skills. It’s a perfect opportunity to join a great team and practice high-quality medicine while working in the center of one of the country’s fastest-growing cities. Our clinic is within walking distance to Bellevue’s downtown nightlife and 15 minutes from downtown Seattle. It’s a great job!!! Bring your A game. ***Salary and Full Benefits Package based on ability***Tour our facility at catcareclinicbellevue.com ***Email resumes to [email protected]. DVM needed for part-time work at a veterinary clinic located in north Snohomish County. Future full-time work and ownership opportunities are very likely. For details please contact us at 425-737-1529 or email to [email protected]. Northwest Organization for Animal Help in Stanwood, is looking for a full-time Veterinarian to work in our High Quality, High Volume Spay/Neuter Clinic and Adoption Center. This position is responsible for providing surgical care to clinic patients and medical care to our shelter dogs and cats. This is a wonderful opportunity to make a difference in the lives of homeless pets and help our mission to reduce pet overpopulation by providing affordable spay/neuter services to low-income families in our communities. We offer competitive compensation/benefit packages and a positive and family-style work environment. Qualified and interested candidates, please email [email protected]. Purrfect Pals in Arlington, WA Is in need of a part-time Spay and Neuter Surgeon. 10 hours a week on Mondays. Please contact (360) 926-8465 or [email protected] for more information. At Kenmore Veterinary Hospital we know our client’s pets are not merely a pet —they are also a friend, confidant, playmate, and family member, and we will treat them with consideration and kindness as if they were our own. Each of our patients are treated with the time and care needed to provide treatment personalized for their specific needs. We are in search of an associate doctor who shares in our values of treating pets like family. Our staff is committed to continual improvement of our skills and knowledge. Our hospital is well equipped so that our doctors and medical team can provide the highest quality medicine for the pets in their care. Our veterinarians enjoy: Competitive base salary with quarterly bonuses; Work/Life Balance – 4 day work weeks with no after hours or on-call duty; Medical, Dental, Vision, 401k and HSA with company matches; License reimbursement; Professional and Liability Insurance; Generous PTO beginning year 1; Freedom to practice medicine without corporate protocols or mandated formulary. Email your resume to Shawna Weber at [email protected].